If you’re looking for that perfect companion or long walks on the beach or an up and coming dog sport star, look no further than Miss Butterscotch. 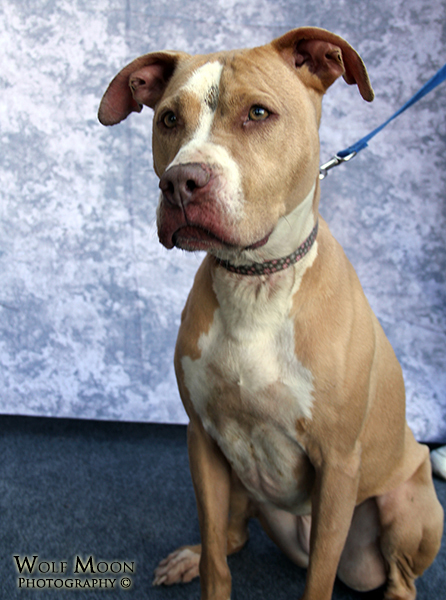 She is a sweet, relatively low maintenance gal who would love to be the apple of her new forever family’s eyes. Sweet and kind Butterscotch is a delightful little girl. She is relatively good on a leash but has some typical puppy-ish exuberance. She is very, very food motivated and has a moderate toy drive. She would do well in a home that was willing to work with her and set her up for success. Butterscotch can be a bit pushy with other girl dogs because she believes she needs to be the only woman in her human’s life. She would probably do best with a boyfriend or being totally spoiled as an only dog. She seems to interact well with the boys at the shelter currently. 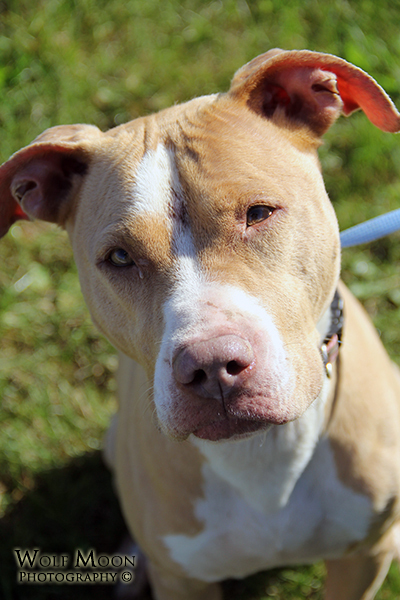 If you’re interested in adopting Butterscotch, or any of her kennel mates, he is available for adoption through the Taylor Animal Shelter which is located at 25555 Northline Road, Taylor, Michigan. You can contact the shelter by phone at (734) 374-1354 or by clicking the link to the shelter above. Update: Butterscotch has been adopted! 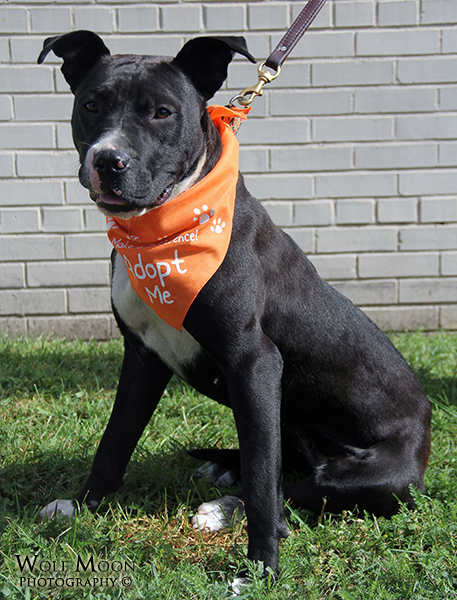 This entry was posted in Rescue and tagged apbt, dogs, pit bull, rescue, shelter dog saturday, taylor animal shelter on October 12, 2013 by ShadowWolf. Would ya look at that smile on that goofy face! Freckles is an amazing bundle of spotty goodness. He is happy-go-lucky and full of get up and go. He would do well in just about any family because he is just an amazingly well-rounded dog (we would have taken him home if we didn’t have six already!) with a phenomenal personality to boot! 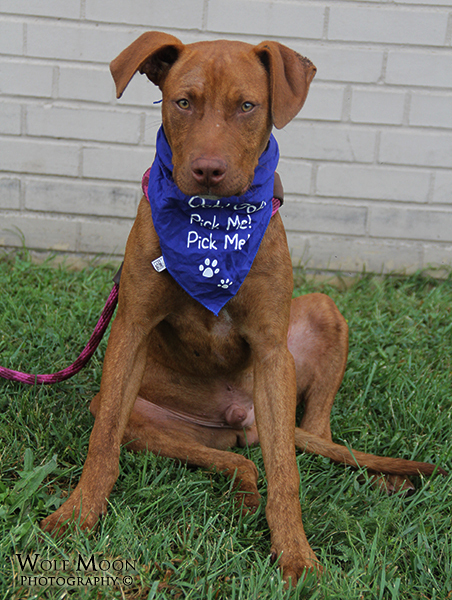 Freckles, if you’re interested in dog sports, this guy already has a pretty decent start to the basics and would make a fabulous prospect for obedience, agility, weight pull or any other venue you may be interested in. He has the desire to please and an off switch when it’s time to relax and chill out at home. I really can’t say enough good things about him. Unsure of how he is with other dogs and kitties but proper introductions to both should definitely be on the top list of priorities no matter what! 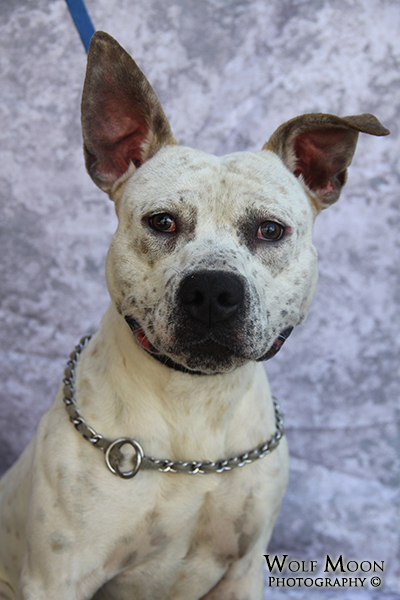 If you’re interested in adopting Freckles, or any of his kennel mates, he is available for adoption through the Taylor Animal Shelter which is located at 25555 Northline Road, Taylor, Michigan. 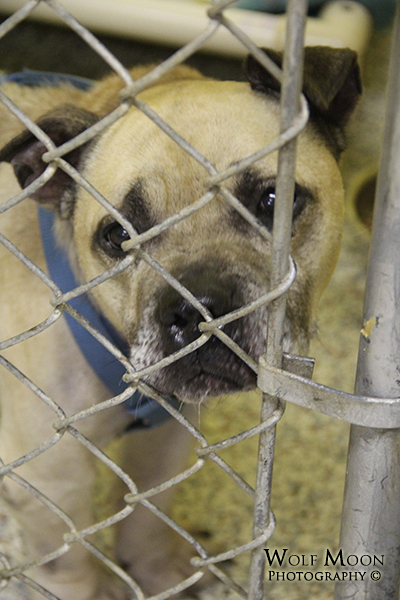 You can contact the shelter by phone at (734) 374-1354 or by clicking the link to the shelter above. 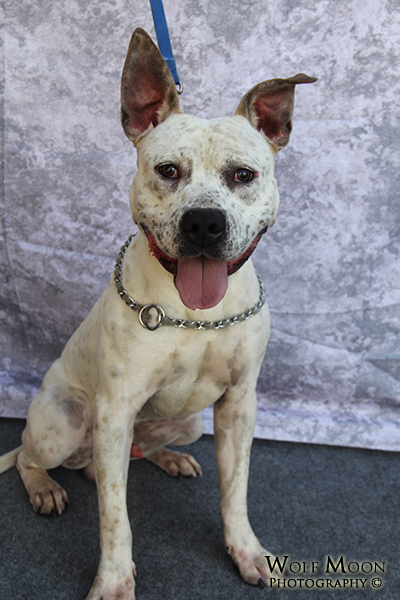 Update October 11, 2013 – Freckles was adopted! 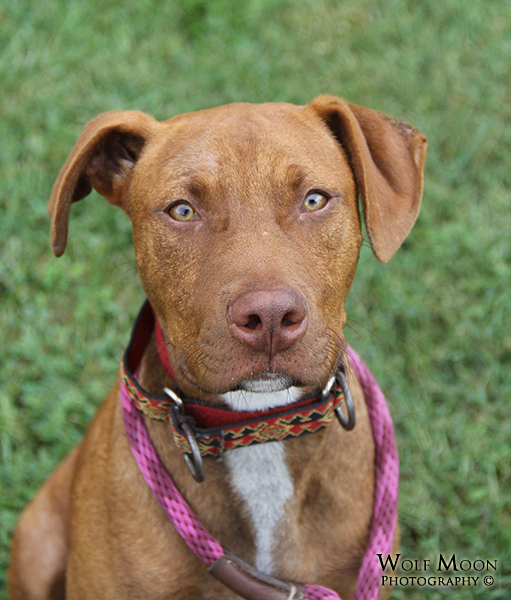 This entry was posted in Rescue and tagged apbt, dogs, pit bull, rescue, shelter dog saturday, taylor animal shelter on October 5, 2013 by ShadowWolf. 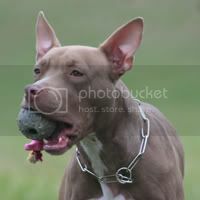 Every year the month of October is hailed in as a month of awareness for one of the most misunderstood, mistreated and maligned breeds of dog in modern history – the pit bull. 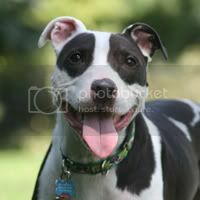 There are many who would wish to see this breed’s future annihilated and sent into extinction but there are even greater numbers of breed advocates and aficionados who work tirelessly against the opposing side in an effort to reverse breed specific legislation that is aimed to eventually destroy the breed that is affectionately called ‘America’s Dog’ by its followers. 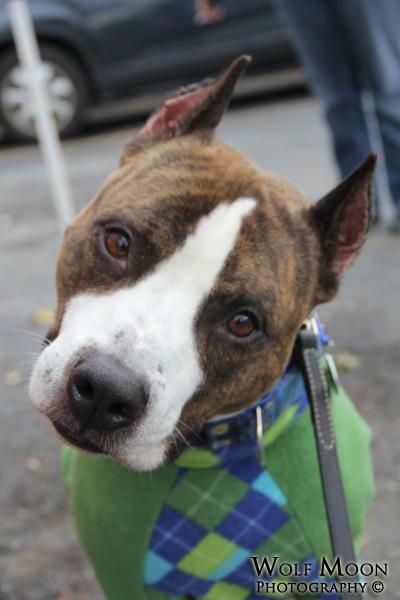 National Pit Bull Awareness Month is only a couple of years into its conception. The creator founded this month in an effort to show the love and dedication of one very special American Pit Bull Terrier named Tiffin who had crossed the bridge earlier in the year. This wonderful tribute allowed for the extension of the original National Pit Bull Awareness Day (which was started in 2007) into thirty-one days of advocacy and affection for an incredibly diverse and resilient breed. This month will allow shelters, breed clubs, other individuals and groups to spotlight the breed through events geared toward education and responsible ownership of this often demonized breed to show that, with a little elbow grease, this breed can and should remain a part of the heart and soul of so many fanciers across the globe. 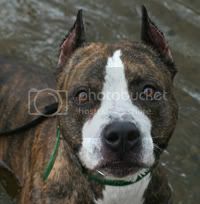 – Use the power of social media to share positive images, stories and events involving pit bulls. – Volunteer at your local shelters and rescues. These dogs wait for their forever homes and time spent working with them enables them to get closer to the highly sought after end result of that forever home. 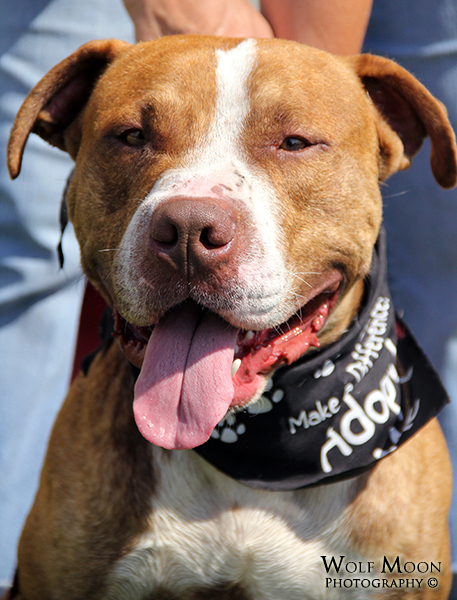 – Get involved in breed specific activities and events. Group walks/hikes, dog sports, etc. are excellent ways to network, keep updated on local issues and provide opportunities to passively socialize your dog or to solve a current issue with someone who has one through it already. – Sign up for that Canine Good Citizenship or Therapy Dog class you’ve been putting off. Everyone appreciates a well behaved dog no matter what the breed is and eventual therapy dog work will be beneficial to the community as well! Most importantly, no matter what activities you do this month, make sure you enjoy your dog(s) and be an advocate who acts professionally and politely without being too overzealous. It is, after all, a hard pill to swallow if one is proved wrong (and something I’ve personally learned from experience many times over!). 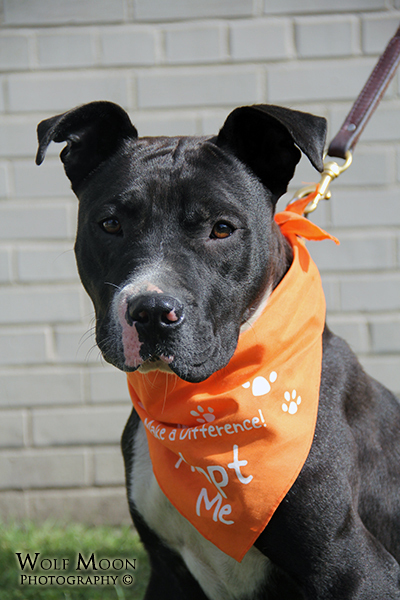 Have a wonderful National Pit Bull Awareness Month and don’t forget to celebrate National Pit Bull Awareness Day 2013 on October 26th! 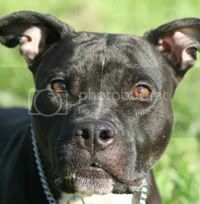 This entry was posted in Breed Specific Legislation, General, News & Media, Rescue and tagged apbt, bsl, dogs, National Pit Bull Awareness Day, national pit bull awareness month, pit bull, rescue on October 3, 2013 by ShadowWolf. If you had asked me two weeks ago if I had planned to add a new dog to the pack in the very near future I probably would have laughed. I had plans, yes, but they were weeks, months and even years in the future. I wasn’t in the thought process that the future and new dog were only a short time away or in the circumstance in which they happened to happen in. When I first saw Gus (then Pugsley) and his photo on Facebook, my heart took a flying leap into my throat. 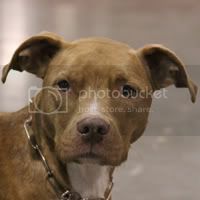 Here was this sweet, old pit bull mix staring at me from the depths of my computer screen across the Internet. I cursed at the state he had arrived at the shelter in and wondered how this stately gentleman had ended up bitten to ribbons with sores and cuts all over his body even though I know the streets aren’t kind to any dog, especially an old guy with nubs for most of his teeth. This sweet guy and I would be seeing one another soon as there was no other option because he had landed himself at the very shelter I spend most of my time at. Just my luck, right? It started off innocently enough. I offered to take this poor guy into the vet. I steeled myself against falling in love pretty successfully until he climbed into my lap as I sat on the floor of the exam room. That final tightening of the love noose came when he laid his greying head on my shoulder and let out a deep, relaxed sigh. I knew that it was the beginning of the end. He had to come home. My…no, our home would and must be his. 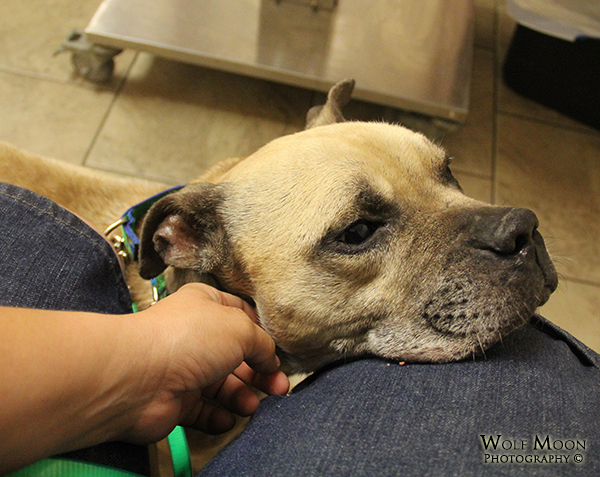 The rest of the week (since he came on with a black quick release collar) while he was on stray hold was pure agony. 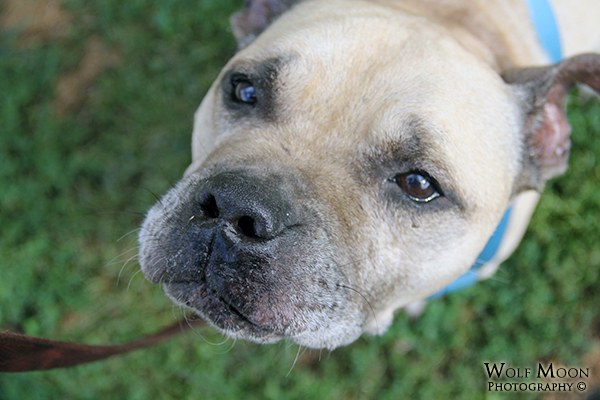 I waited to see if my sweet old man would be returned to his former home…but no one came and part of me was sad. Someone had to be missing him, right? I couldn’t dwell on it. He had served his mandatory seven day hold and was a stray no longer. Officially available, I collected him from the shelter he had called home. Never again, I vowed, would he want or need for anything. His golden years will be full of love and care for as long as he is with us. He will be loved, cherished and spoiled utterly rotten. He will be able to call a place his forever home. Happy Gotcha Day, Gus. Here is to many more years in the Work-A-Bull pack. 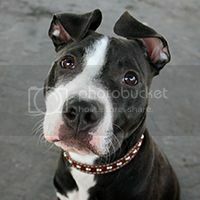 This entry was posted in General, Rescue and tagged adoption, apbt, dogs, gus, pit bull, rescue, river rouge animal shelter on September 29, 2013 by ShadowWolf. Lady came into the shelter as an owner surrender. 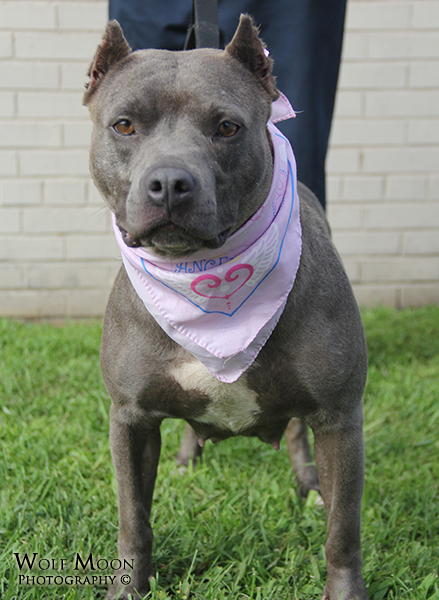 Her previous owner was unable to take her with him when his life circumstances changed and looked to the good folks at the shelter to help find his little girl a home that was able to give her a forever home. Lady is very sweet and very kind. She is gentle taking treats and very willing to learn. 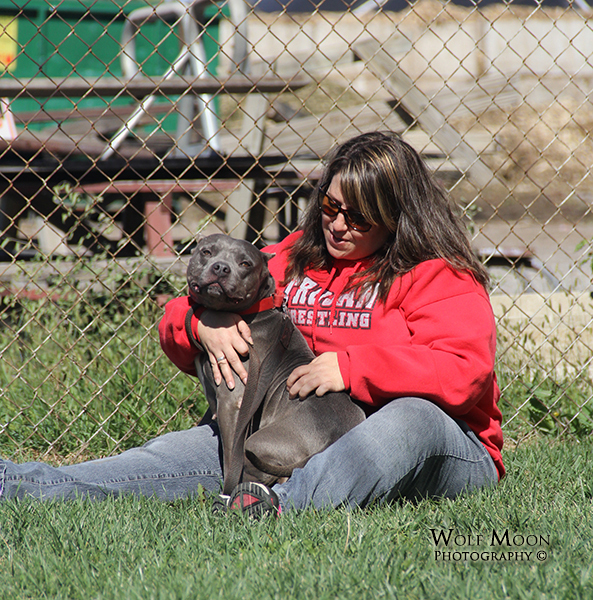 She shows promise as a potential dog sport dog (think obedience or agility here!). 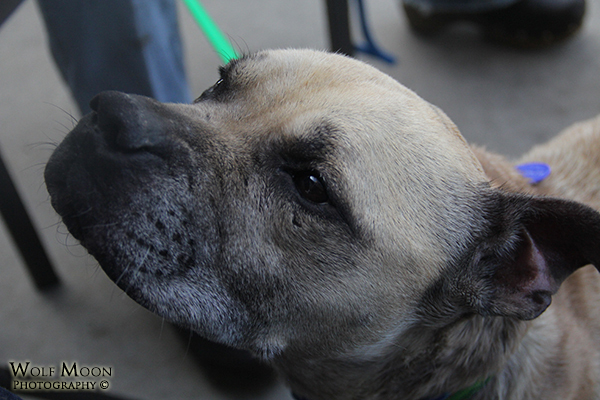 She’s shown no interest in the currently available kitty, Boots, and is gentle with other dogs. There’ve not had any kids to introduce her to but if her temperament with everything else she’s met holds true, there are no doubts she will do fine with them as well. 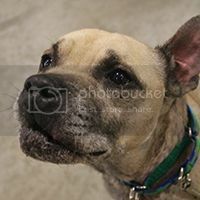 Lady could, in theory, go into just about any home and is seeking that forever home right now with a family who will love and cherish her for many years to come. 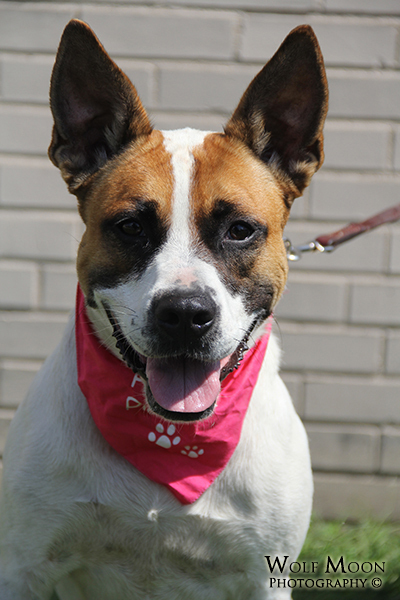 If you’re interested in adopting Jewel, she is available for adoption through the River Rouge Animal Shelter which is located at 100 W. Pleasant Street, River Rouge, Michigan. 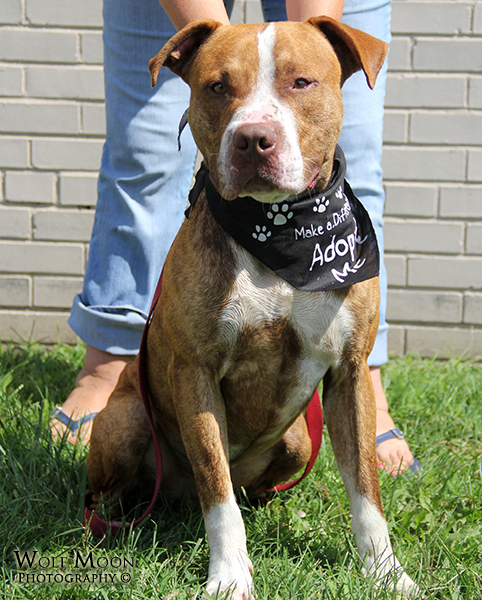 You can contact the shelter by email at pkelly306@aol.com or by phone at 313-205-1732. Update: Lady headed to rescue! 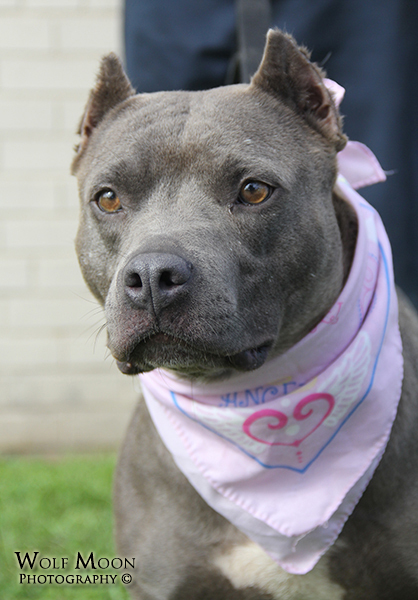 This entry was posted in Rescue and tagged apbt, dogs, pit bull, rescue, river rouge animal shelter, shelter dog saturday on September 28, 2013 by ShadowWolf. 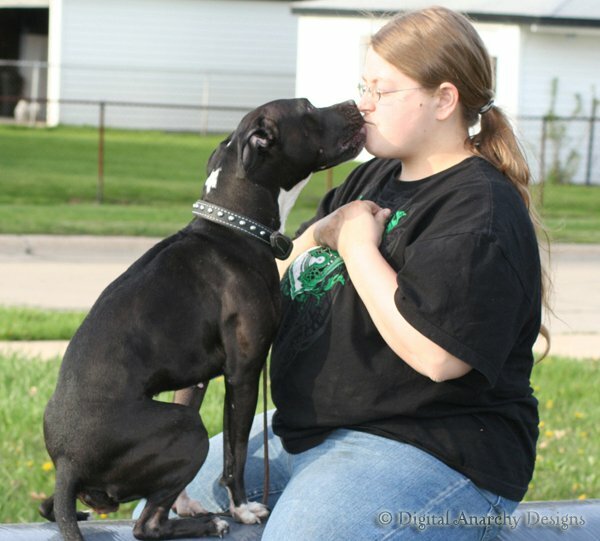 This entry was posted in Wordless Wednesday and tagged apbt, dogs, gus, rescue, wordless wednesday on September 25, 2013 by ShadowWolf. Jewel came into the River Rouge Animal Shelter with her good buddy Thor via the officers of River Rouge. Unfortunately, Jewel and Thor had a habit of escaping their yard and their owner opted to not reclaim them and instead leave them to sit in the shelter. 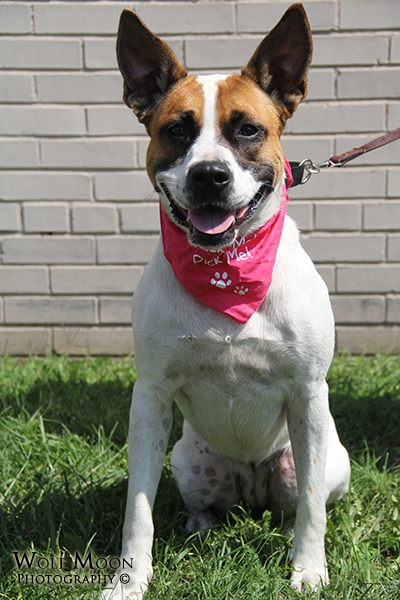 Jewel is a happy go lucky gal who absolutely LOVES affection. She enjoys long walks and has energy that could go on for days if you didn’t want her to stop. She is very willing to please and has been getting some good basic manners training from the volunteers at the shelter when she is out on the twice daily walks. Jewel would do well in any home but may be a bit too boisterous for families with young children since she forgets how big she is. Jewel has shown some mild interest in the cats but with proper introductions should be okay with a feline member of the household. She would also make a good working dog prospect in dog sports venues as she is social, willing to learn and eager to please and has good drive for toys and food. Update: Jewel headed to rescue! This entry was posted in Rescue and tagged adoptable, animal rescue, dogs, rescue, shelter dog saturday on September 21, 2013 by ShadowWolf.